For the past 20 years, members of the Freedom Road Socialist Organization have worked to build the struggle for justice, equality, peace and liberation. 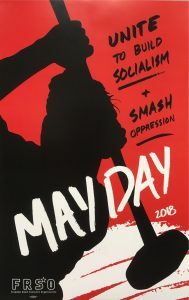 We have done everything in our power to develop the day-to-day fight of the oppressed and exploited, while creating an understanding and organization that is revolutionary – with socialism as its goal. In the course of these past 20 years, the activists of Freedom Road have made real contributions to many of this country’s major struggles and movements. Down-to-earth practical work in the workplaces, neighborhoods and campuses has been a hallmark of our organization. In the 1980s, we campaigned for Jesse Jackson and Chicago’s mayor Harold Washington while working to build the Black liberation movement and the struggle for African American political power. Our members were on the union picket lines when Hormel meatpackers faced the National Guard. We built opposition to Bush Sr.’s first war on Iraq and organized countless protests and demonstrations of every war of every administration – from Reagan to Bush, Jr. In the 1990’s and this last five years, we participated in thousands of battles on the local and national level. High points include building the Chicano and Latino movements against the government’s anti-immigrant measures in California, the powerful struggles of the urban poor in Minnesota and the Teamster reform movement. We have built an organization that is nationwide in scope. We have members in North Carolina, Northern California and points in between. Our strategy for revolutionary change is to unite all who can be united against the monopoly capitalists who rule this country. At the core of this united front against the rich, we need to create a strategic, long-term alliance between the multi-national working class on one hand, and the movements of oppressed nationality (African Americans, Chicanos and Latinos, Asian and Pacific Islanders and Native) peoples on the other. In practice this means we are active in all of these movements. Our members can be found in the trade unions, organizations of oppressed nationalities and the organizations of the urban poor. In 1985 two organizations, both of which were products the powerful movements of the 1960’s and 1970’s – the Revolutionary Workers Headquarters and the Proletarian Unity League – came together and formed FRSO. Nine years later the Socialist Organizing Network and FRSO founded a new organization. That organization continued to be called Freedom Road Socialist Organization. These organizations had their roots in the new communist movement. In the late 1960’s and early 1970’s the Black liberation movement, the movements of other oppressed nationalities, along with the student movement, underwent a profound processes of radicalization. Tens of thousands of activists came to the conclusion that monopoly capitalism, or imperialism, had to be overthrown. They drew inspiration from revolutionary China, the heroic struggle of the Vietnamese people and the powerful upsurge for national liberation that was sweeping the third world. These activists formed organizations that applied the science of revolution, Marxism-Leninism, to U.S. conditions. Some of the larger organizations created include the League of Revolutionary Struggle, the Revolutionary Union, the Communist Labor Party, the October League, the Communist Workers Party, the Black Workers Congress and the Puerto Rican Revolutionary Worker Organization. There were also hundreds of smaller organizations. Together, they made up the new communist movement. The new communist movement quickly emerged as an important force in the working-class and oppressed nationality movements. Much of the work done in the mid to late 1970’s was important and inspiring and this was the main thing. From the auto plants of Detroit to the rural areas of the Black Belt South the new communist movement made itself felt. In addition to some great work in building key battles of the oppressed, the new communist movement made a number of contributions to Marxist theory, which retain their relevance for revolutionaries today. One of the most important was grasping the fact that African Americans are an oppressed nationality with in the U.S. borders, and that the Black freedom struggle is in fact a fight for national liberation. By embracing the Black nation thesis, the new communist movement revived the rich theoretical legacy of outstanding revolutionaries such as Harry Haywood, who did path-breaking work with others in the Third International, by raising the banner of self-determination for the Black Nation. Unfortunately, as the new communist movement struggled to apply Marxism-Leninism, a lot of ultra-left errors were also made. The new communists got ahead of where the masses of people were at and made some other mistakes too. Many held that revolution in the U.S. was not far off and as the revolutionary tide of the late 1960’s and early 1970’s receded, many of these newcomers to the communist movement became demoralized. The right thing to do would have been to correct the mistakes made, stick with Marxism and move on with building revolutionary organization. Instead, many focused on the negative, and made rightist errors. They started saying things like ‘there is a crisis of Marxism’ and Marxism was no good. They proceeded to abandon and destroy their organizations. More than a few of them decided that U.S. imperialism was not so bad after all. Betrayal of one’s ideals, especially correct ideals, is an ugly thing. The organizations that created Freedom Road Socialist Organization were important – not because we were unaffected by any of these errors. In fact we made some mistakes. One mistake we did not make was giving up on Marxist organization. It was this decision that laid the groundwork for all that we have done since and that allowed us keep our bearings. As the world changed, we were able to change with it. The attempt at counter-revolution in China in 1989 and the defeat of socialism in the Soviet Union and Eastern Europe provided new challenges. Communists within FRSO were quick to assess the importance of the events. Some of our members were confused and got more confused with the passage of time. They finally left our organization in 1999. These were the folks who supported sanctions on Iraq, opposed the socialist countries, and think it’s far “too dangerous” to support national liberation movements like Colombia’s FARC. The only time they say they are Marxist-Leninists is when they visit other countries. Maybe time and reality will help them rethink things. Over the past six years, one of the many things we have done is work for the unity of Marxist-Leninists in U.S. We have had many meetings with comrades in other organizations to talk things over and more than a little work on common projects. That said, we recognize that the key to building a revolutionary movement in the U.S. and to building a new party of the working class – a new communist party – is to bring in new people. We need to build the people’s struggles, raise the level of knowledge and understanding and help the most active and foresighted become Marxists. Fusing Marxism and working-class movement is our central task. We have met that challenge and will continue to do so. In our evaluation of 2004 Bush election, we noted some key fronts of struggle in the period ahead and reality has confirmed their importance. 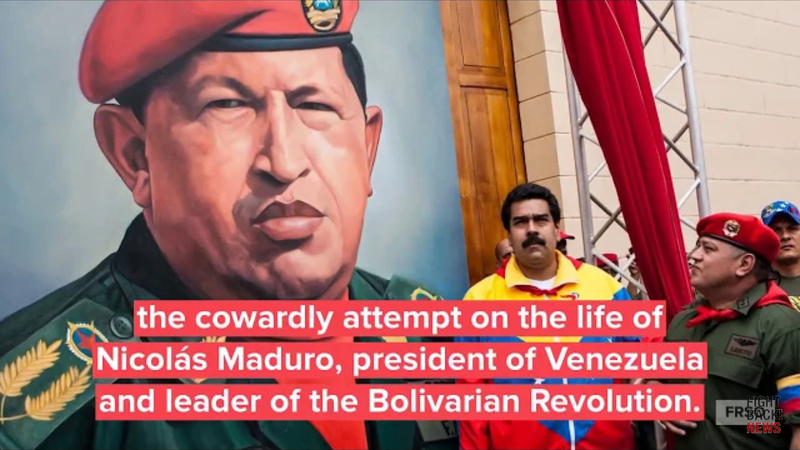 “The demand for peace and the support of efforts of the oppressed in the third world to gain liberation are vital tasks for progressives in the period ahead. In terms of domestic politics, there are five key spearheads of struggle. First, we need to defend of our standard of living. Bush’s economic policies mean that we are in the midst of a protracted attack on our standard of living, including attacks on wages and working conditions. Key battlegrounds include beating back concessions in the unions, health care and budget cuts. Successful resistance requires a movement stronger than the one that currently exists, as well as building unity between the organized and unorganized sections of the working class. Second, we need to fight against racist attacks and national oppression. Because the U.S. is a white supremacist country, all of the attacks on poor and working people have a greater impact on oppressed nationalities. We can expect a continuation and intensification of racist attacks. These attacks take many forms: police brutality, further attacks on already-gutted affirmative action policies, the continued policy of incarceration of oppressed nationalities, wrongful imprisonment and attacks on public and bilingual education. Key battlefronts in this area include the movements against police terror and immigrants’ rights. Third, we need to defend democratic rights. The new red squads operate under the moniker of Joint Terrorism Task Forces. They are active in many cities, with local, state and federal agents colluding to take away the rights of political activists. Police repression of political groups is more obvious and more sophisticated, particularly with the implementation of the Patriot Act. The struggle to preserve civil liberties intersects in many places with the struggle to defend immigrants’ rights and against national oppression. This, combined with the importance of preserving space for open political struggle, will make it an important front in the coming period. Fourth, as shown in the elections, the continuing struggle to expand democratic rights for Gay, Lesbian, Bisexual, Transgender (Queer) people will take a prominent role in the coming period. The primary battleground for this struggle will be the issue of marriage rights. “In the final analysis, Bush and company represent a small handful of people – the rich and powerful. This fact is recognized by a substantial section of the American people, who are eager to fight back. They hate Bush and deeply resent the direction the county is moving in. It is vital that the anti-Bush movement stay mobilized and determined to fight. Overall conditions are good for building the struggle of the multinational working class, the oppressed nationalities and other sections of the people too. It’s a solid context for constructing revolutionary organization. By sticking with Marxism and learning as we teach, we will continue to make progress. Time is always on the side of the oppressed – and time is an enemy of all systems heading for extinction. The next 20 years hold incredible promise. Boycott Arizona! Say No To Racial Profiling! Next post U.S. Government Kidnaps FARC Leader. Demand Freedom for Ricardo Palmera!